The Particle Beams Laboratory (PBL) was organized as part of the Electrophysics Department at the Institute of Metal Physics, Ural Scientific Center of the USSR Academy of Sciences, in 1986. PBL exists at the Institute of Electrophysics since the date of the Institute's foundation in 1987. Prof. Yuly Efimovich Kreindel, who was a prominent scientist, a recognized expert in gas and vacuum discharges, plasma emission electronics and accelerating equipment, and a winner of the RF State Prize, headed the laboratory from 1986 till his tragic death in 1991. 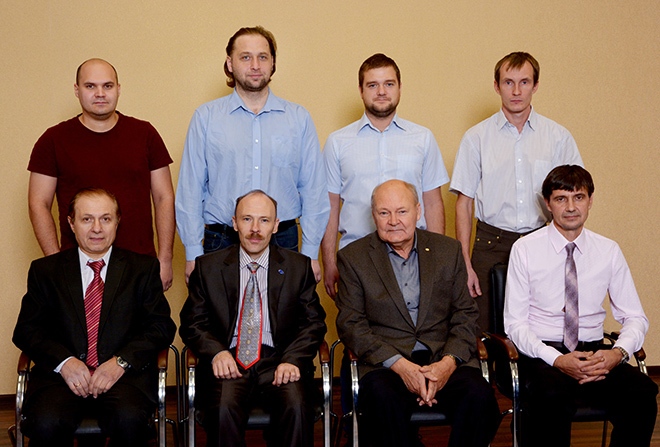 From 1992 to the present, the laboratory is headed by Corresponding Member of RAS N.V. Gavrilov. The area of research undertaken by the laboratory includes physical processes in low-pressure cold-cathode gas discharges, which are used in efficient sources of plasma, electron and ion beams, development of sources of charged particles and plasma generators for industrial applications, and the effect of accelerated ions and plasma on properties of materials. Based on the results of the research conducted in the laboratory, prototypes of powerful sources of wide beams of gas ions were developed for modifying materials, sources of low-energy high-current electron beams of large cross section for ionizing vapor-gas media at pressures up to 0.1 Pa, based on a discharge with a self-hardening hollow cathode and an evaporating anode gas plasma generators for the deposition of nitride and oxide coatings. It is shown that the use of plasma generated by an electron beam contributes to a significant improvement in the structure and properties of ion-plasma coatings applied by physical and chemical methods. Sources of broad gas ion beams are used in the Technopark of Aviation Technologies at UMPO and UGATU (Ufa) for treating the compressor blades of a gas turbine engine using the method of ion implantation. The developed installation of magnetron deposition of multi-element coatings with electron-beam accompaniment is used at the Institute of Reactor Materials, ROSATOM State Corporation, (Zarechny, Sverdlovsk Region). In cooperation with the Ural Civil Aviation Plant (Ekaterinburg), the technology of applying wear-resistant coatings with ion-beam tracking on the compressor blades of a gas turbine engine has been improved and introduced into production.